As Chevy's Jimmie Johnson and Toyota's Matt Kenseth barrel down the stretch toward the NASCAR championship and the Homestead finale, barely two weeks away, maybe it's time to check out the missing men in this formation -- the Ford guys. Yes, it sounds like a broken record. It's been a tough season for Ford teams, for some reason. Strangely, none of these men are complaining very loudly about anything, even as Chevy and Toyota drivers kick their tails nearly ever week. When it comes to leading laps this year, Ford drivers hardly make any waves. Chevy drivers have led 4,226 laps; Toyota drivers, 3,984; Ford drivers, 1,430. When it comes to winning races, Ford drivers are running third in the three-team race. Chevy drivers have won 14 times, Toyota drivers 12 times, Ford drivers six times. It's been that way all season, with a few exceptions. At Martinsville Ford stars never led a lap. However this place, Texas Motor Speedway, has been a strong Ford track for years, and certainly Ford men will be closely scrutinized in Sunday's Texas 500. Edwards, who has been rather low-keyed, really, for a couple of seasons now, has wins this season at Phoenix and Richmond (similar tracks), and he has three wins here, more than anyone else in the field. He tested at this track two weeks ago, along with a dozen others. But Edwards has led only three laps so far in the fall's seven playoff races....and this after finishing first over the year's first 26 races leading up to the chase. Yes, Brad Keselowski finally got Ford into the winner's circle on one of these mid-sized tracks. And Kes did run very well at Martinsville. But his season has been all but a write-off, to be blunt. 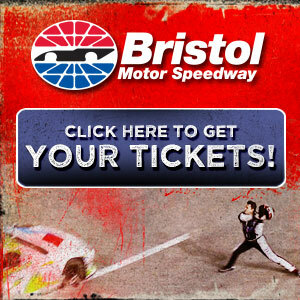 Will Edwards' old teammate, Kenseth, be the headliner here? Or will one of the Ford guys make something happen? Kenseth this season has been a surprise at many turns, and on several levels. Yes, he's a great driver, but he's making things happen at tracks where he's not made things happen for 14 years. And it's Kenseth's many surprises that play in contrast to Ford's relative lack of success. "I'm not surprised by it," Edwards says. "I've seen how much Matt pours into his driving, and I've seen how fierce a competitor he is. "He's a relatively quiet guy, pretty understated. But he really, really drives the wheels off a race car. "The Gibbs guys have been very good the last few years...so everything worked out and him and his crew chief (Jason Ratcliff). "And a couple of those races this year they did have some really good luck. "They had some bad luck too. But it appears to be one of those years where a great driver and a great team and great luck are all coming together and they're making the most of it. "I can tell you one thing -- Matt won't make mistakes. He will not lose the championship. He'll be one of the strongest parts of that team." Tires could be the wild card this week. Speeds were up considerably in the test last week, and tires wore at a very fast rate. That wear rate should improve as more rubber gets laid on the track. However some teams are worried, and Goodyear says it will be watching everyone very closely. Kenseth and teammate Kyle Busch have had great success this season on these 1-1/2-mile tracks. And both should be in the hunt again here. For Edwards, Kenseth's Ford teammate for 14 years, watching this title chase, which is heading into Round Eight of the 10-race playoffs, has been, well, interesting. "Matt and I obviously didn't get along really well at one point," Edwards says. "But he's one of the guys I'm closest with in the garage. "I really think a lot of Matt, and once I understood him, and I assume he understood me a little better, I think we were as good a teammates as I've ever had. "He was a huge asset to our team. "It is interesting to watch him in this championship battle. There are times when it's still hard for me to think of him as not my teammate, because of how much time we spent under the same roof. "As much as I hate to see him do well at another organization, it's good to see him have the success, because he definitely works hard and has given his life to racing." Of course there is another twist to this deal, for Edwards. The ride Kenseth has this season is seen by many as the same ride he passed up a year ago to stay with Ford. The details of all that Edwards-Gibbs behind-the-scenes negotiating are still murky, though. And Edwards is quick to distance himself from all that now. "That's a lot of assumption from the media perspective," Edwards insists, of the Edwards-Gibbs talks over the summer of 2011. "If you go by what everything that was written, I had already signed contracts with that team. I think that's presumptuous on a couple of levels. 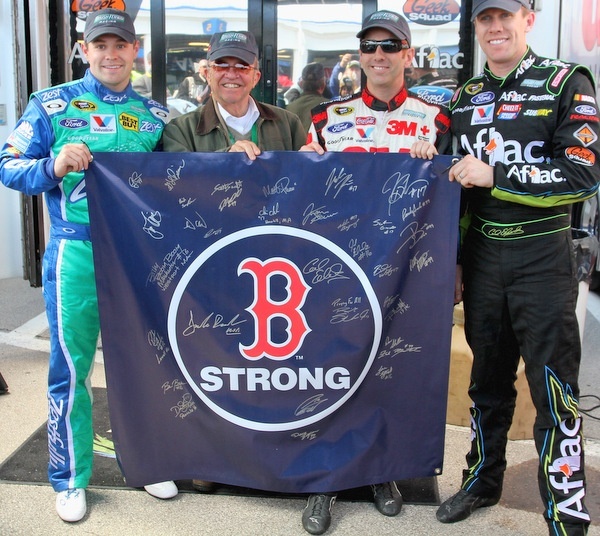 "I drive for Jack Roush, and I do that because I want to. "Yes, like a lot of guys in the garage, I've had opportunities at multiple times in my career... and I've chosen the one I wanted to be a part of." However there has been the sense that Edwards' negotiations with Gibbs and Toyota, and his decision to stay with Ford, and the confusion and controversy surrounding all that may be one reason for some of the issues Team Ford is facing. For one, there is the feeling that the Roush team is not as 'unified' as the Rick Hendrick team. Ricky Stenhouse has taken Kenseth's spot in the lineup, but he's a rookie and it's taken him a while to get his feet planted. 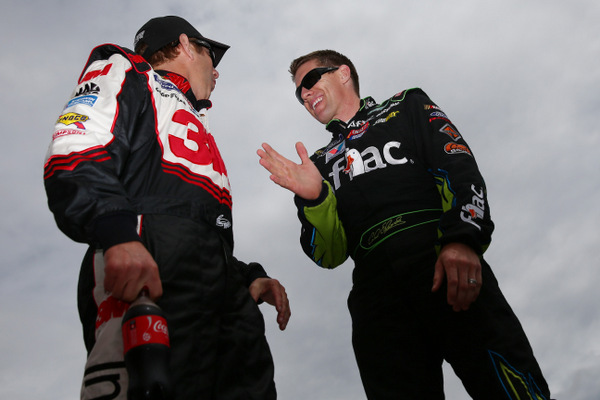 And the Biffle-Edwards relationship hasn't seemed particularly close. Is this a three-man team, or three too-separate teams? Each -- Stenhouse, Biffle and Edwards -- seems to have a different agenda. For Edwards, 10 years with Roush and Ford in Cup, that championship is still elusive. His 2005 title bid was epic, coming up just 35 points short (under the Latford scoring system). His 2008 title bid was capped by a furious rush. Edwards won three of the last four races, missing the title by just 69 points. And Edwards' 2011 title bid, well, he actually tied with Tony Stewart in points, as amazing as that may seem, only to lose the title on the tie breaker -- victories. A twist or two differently and Edwards could be a three-time champion right now. "It is very difficult to win a championship," Edwards realizes, perhaps much better than most. "We tied for second in 2005. "We actually did really well in 2008, but Jimmie Johnson got us. "I still remember that week after Phoenix (next week's stop, the next to last race), going to Homestead -- It was more than exciting, it was just perfect." Edwards' title bid this season died in Round Three, at Dover last month. That might have been surprising, since Edwards 'won' the regular championship, in part of course because of Jimmie Johnson's unexpected August collapse. "We knew going into the chase we had not been a dominant team," Edwards says. "We had two wins, but we knew that we were going to have to really be consistent and not make any mistakes in the chase. "And the first couple of races didn't go very well. We went to Dover, and we were hanging on. When that wheel came loose I knew we had a problem and my heart sank." 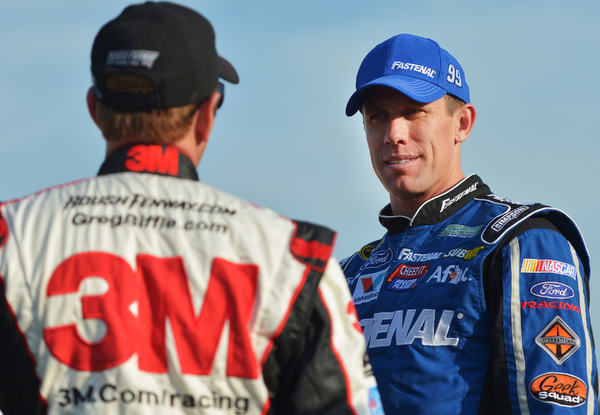 Teammate Greg Biffle hasn't had much better results. He won Michigan in June, but since then he's been almost invisible, leading only three of the last 18 races. No wonder when he finally got a strong car and could run with the leaders, last weekend at Martinsville, and then got knocked out, Biffle got a bit miffed. 'NASCAR' means not having to say you're sorry? Well, after Biffle bopped Jimmie Johnson on pit road post-race at Martinsville Sunday, for their run-in, Biffle decided to make the phone call. "I was getting a lot of hate mail on Twitter from all the Jimmie Johnson fans about the way I reacted, so I was apologizing to the fans, not Jimmie Johnson at that point. "My apology to Jimmie Johnson was on the telephone. I don't text. I do the old-fashioned telephone." But the apology was more about Biffle's style than about his rethinking his questions about Johnson. Johnson, Biffle said, "ran square in the back of my car, not inside of me like his claim. "I probably should have grabbed him by the arm maybe and voiced my displeasure. "I was upset that I had to restart at the back (after needing repairs). A good opportunity to get a top-three finish at Martinsville for the first time... and quite honestly probably a chance to maybe battle for the win. "I should have handled that a little differently with Jimmie. I didn't realize he was in the middle of his TV interview. "I was furious because we had a great car. We had the fastest car the last 65 laps of that race." Well, Biffle has a good chance to make amends right here. He won here in the spring of 2012, and this is his type of track.